Indoor Air Quality Wesley Chapel FL | Balanced Air, Inc.
Do you know roughly how high the quality of the air in your home is right now? We’re going to bet that it’s not very good. Don’t feel too bad, though, because most homes in the country experience chronically low indoor air quality for one reason or another. This can be due to airborne contaminants, or humidity imbalances. One thing that is universal, though, is that poor indoor air quality is a contributing factor in poor health and discomfort among the residents of a home. Balanced Air, Inc. improves indoor air quality by installing and servicing indoor air quality systems throughout Wesley Chapel, FL. If you need an indoor air quality system installed or serviced, contact us today for an appointment with one of our experts. Feel the Balanced Air difference. Air Filters and Purifiers: Airborne contaminants like pollen, dust, and germs can make you sick or provoke allergy attacks. Air purifiers and filters are designed to improve your indoor air quality by removing as many of these contaminants from your air as possible. Dehumidifiers: Chronic humidity does more than just make a hot day feel hotter. It also promotes mold growth in the darker areas of your home. Mold spores can be especially harmful to you if inhaled, so it’s worth installing a dehumidifier to keep things under control. Dehumidifier systems also prevent chronically high humidity from warping things like furniture in your home with too much moisture. No one is going to install every kind of indoor air quality system in their home. That would be wasteful, and likely do quite a bit more harm than good. How, then, do you decide which indoor air quality systems to install that will help you the most? The best way is to give us a call and consult with us on what you think your indoor air quality challenges are. We can evaluate your home to determine what the biggest threat to your indoor air quality is, and which system would be best equipped to deal with it. After we walk you through the process of selecting the best air quality system for your home, we can install it for you. Make sure to call us for your indoor air quality system repair in Wesley Chapel, FL today. Indoor air quality systems are no more invincible than any other HVAC system. Sooner or later, wear and tear on the system is going to cause problems and eventually lead to replacement. If you want to keep your indoor air quality system in good condition for as long as possible, we highly recommend scheduling preventive maintenance. 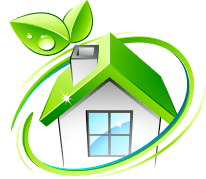 We offer full indoor air quality maintenance services throughout Wesley Chapel, FL. We also provide repair services for those systems, just in case you need them.